Euro, Pound, and Franc are moving according to currency trading forecast, so we have already estimated the situation and defined the important levels for the currency pair purchase. Today we’ll talk about the currency pairs which we didn’t pay enough attention to earlier, but right now they are forming quite interesting patterns with potential profit. Let’s start with Australian Dollar. 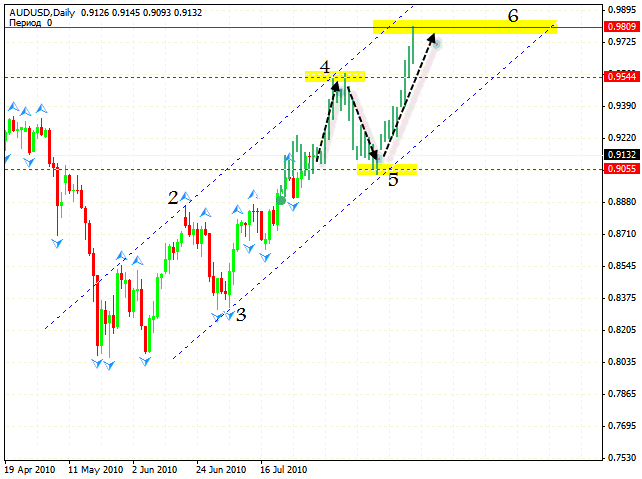 Here we can see a formation of the rising pattern’s center, and after a possible correction we can expect the movement into the area of 0.9544 and a fall into the area of 0.9055, where one can start aggressive purchases with the target of 0.9809. We will follow this situation very carefully. New Zealand Dollar’s movement pattern is quite the same as Australian Dollar’s one. This pattern, with the target in the area of 0.7934 and the current price of 0.7321, seems very attractive. 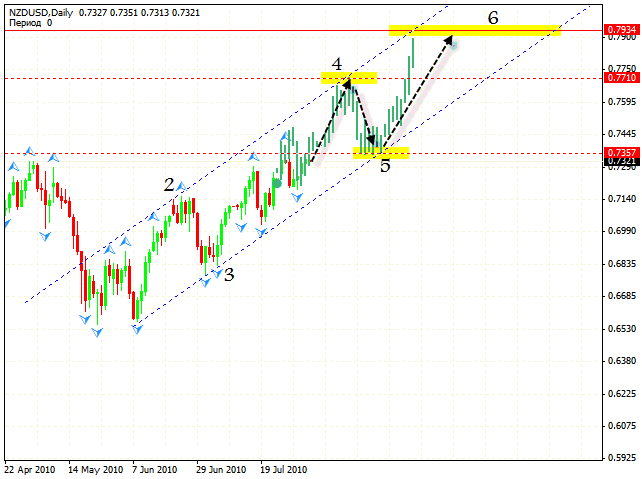 One can try to buy here with the first target at the level of 0.7710, and, after a slight correction to the lower border of the rising channel into the area of 0.7357, we can try to buy again using the rising pattern with the target of 0.7934. 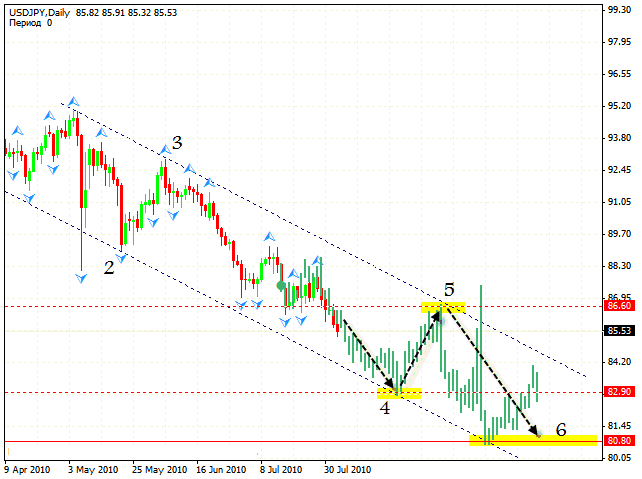 We didn’t pay enough attention to the USD/JPY currency pair earlier, but currently the situation is quite clear and we can conclude that there will be a fall to the lower side of the channel into the area of 82.90 and a further correction into the area of the 5th point of reference, 86.60. That’s where we start selling using the descending pattern with general target of 80.80.